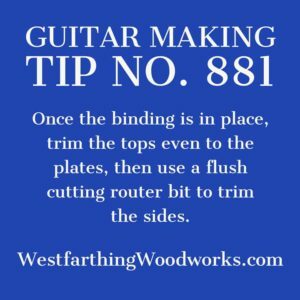 Guitar Making Tip Number 881 is about trimming your binding. 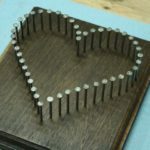 The level of aggression that you will need to trim your binding strips depends on how well they were installed. 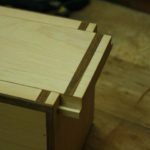 For the majority of strips that cannot be done with hand tools alone, here is a solution. The binding process is one of the more fun parts of making a guitar. The bending is easier, the routing is fun, and so is the gluing. It’s not often that you will use masking tape as a clamp, so it’s also a little entertaining too. 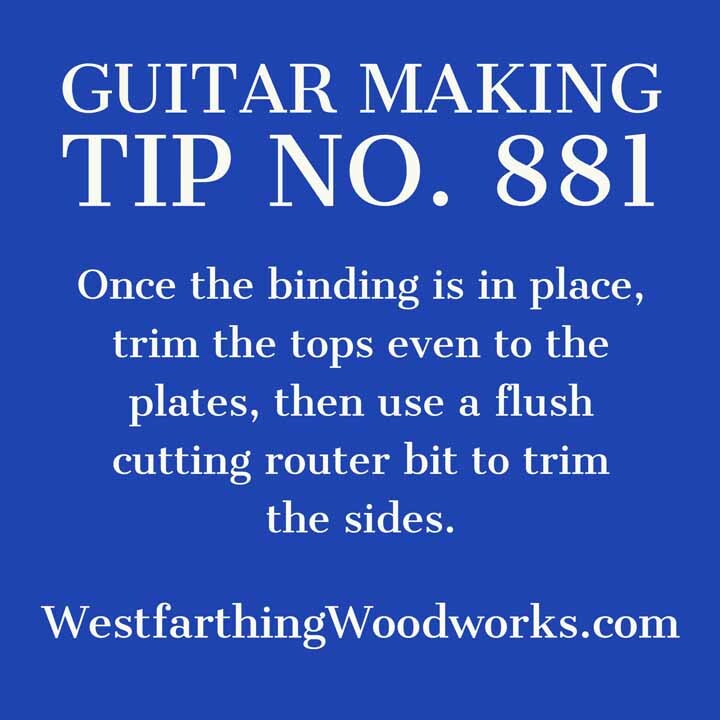 When you install your binding, just as in any other step, the better you do determines how much more or less difficult the following step will be. If you inlay your bindings very over-sized and leave lots of hangover, you will have to trim a ton more afterwards. 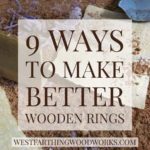 In contrast, if you can attach them almost perfectly in their rabbets, you may just have to hand sand the piece and you will be flush. 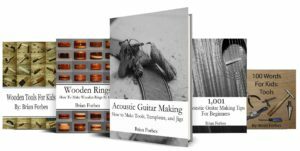 The first thing you need to do is flush the top of the binding with the top of the guitar. 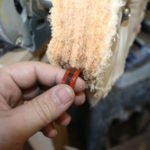 This is easily done with a cabinet scraper. You can also use a chisel if you are skilled with the tool. A power sander does well, and so does a sanding block. Once the tops are level, you should inspect the piece to make sure that the surfaces are as good as they can be. In the next step, the success or failure will depend on how well this step is executed. Take the time and execute it well. Go over the piece in a glancing light, and address any areas that need additional work. 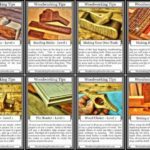 You can also use a larger sanding block to distribute the sanding out in a wider path, which will create a more even surface too. Once the tops are trimmed, it’s time to flush the sides. My tool of choice for this part of the process is the router. If you are so close that a scraper or a sanding block will do the trick, then skip the router. However, the router is a really quick and efficient way to flush the trim. 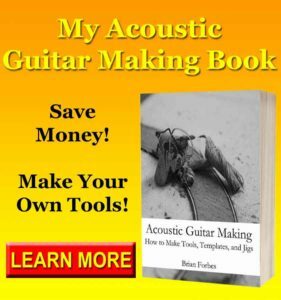 Use a flush cutting bit with a bearing on the bottom and carefully go around the guitar. Make sure to watch the grain direction and not tear out any chunks. The flush trim bit will take the profile from the side of the guitar, and match it to the binding strips. Check your work after you are done. Look over and take additional passes in areas that need it again. Once you are satisfied that the binding strips have been flushed to the sides well, the process is complete.